With locations spread around the United States and various countries across the world, Marriott Vacation Club® offers an unprecedented — and growing — number of resorts and vacation options for the entire family. As a recognized industry leader, Marriott Vacations Worldwide continues to set the same high standards that made Marriott® the most admired hospitality company in the world. Their global portfolio of resorts resides in some of the most scenic and popular destinations around the world. In order to preserve their glass tabletops and reduce their maintenance costs, an easy-to-clean, protective coating was sought after by several Marriot Club Villa owners. After testing multiple low-maintenance coatings, Diamon-Fusion protective coating was chosen for its ability to preserve the sandblasted glass from scratching, everyday wear and tear, as well as providing a more hygienic surface. 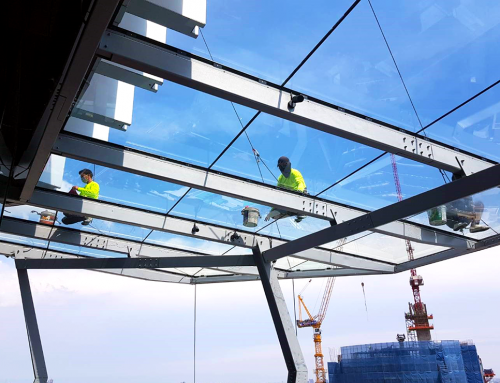 By filling in the microscopic peaks and valleys of the glass surface, Diamon-Fusion creates a high-performing, invisible barrier that is scratch, water and oil resistant. Diamon-Fusion was applied (and continues to be) to the sandblasted glass table tops at the Marriot Vacation Club Villas listed below. Other hotel chains that have used Diamon-Fusion for their glass coating demands include the Sheraton and Crowne Plaza. Additionally, by treating the glass, thousands of dollars in replacement or restoration costs can be avoided. Similar in functionality to a non-stick cooking pan, Diamon-Fusion treated glass repels water and oil-based stains, resulting in easier and less frequent cleanings – reducing cleaning costs by up to 50%. By filling in the microscopic peaks and valleys of the glass surface, food stains, oils and liquid contaminants cannot embed themselves in the glass, reducing mold and bacteria buildup. Diamon-Fusion is UV resistant (won’t break down in sunlight) and reduces the coefficient of friction for better scratch and impact resistance, making the glass more durable.